Three Irish movies at the film festival throw light on an Irish heritage. All are worth seeing. 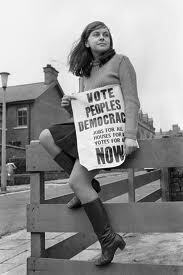 Whatever happened to Bernadette Devlin? In the early 1970s she was every Catholic rebel’s darling, a mini-skirted Northern Irish protest leader constantly in the news.